Back in the sixth century AD, most of Europe was succumbing to the bubonic plague. One of the first signs of the plague was sneezing, and so as legend has it, Pope Gregory the Great was the first to say “God bless you” when anyone sneezed, presumably as a pre-emptive death rite. The practice of saying “Bless you” to any and all steternatory reflexes spread across Europe just as quickly as the plague did, and then to other parts of the world where they developed their own local variation (for example, apparently people in Arabic countries say, “Alhamdulillah,” which means, “praise be to God.” Hindus say, “Live!” or “Live well!”). There were also some superstitious meanings attached. For example, people can to believe that a sneeze was someone’s soul detaching itself and exiting the body, and saying “Bless you” would stop Satan from stealing their untethered soul (http://goo.gl/znyyuY). These days, we know that the humble sneeze has nothing to do with detaching souls or the Bubonic Plague, but interestingly, the cultural phenomenon of blessing people every time they sneeze is something that lives on. While it’s not the only reason people sneeze, we know that the main cause for sneezing, especially at this time of year, is viruses. There are lots of different home and herbal remedies that people swear by for colds and flus. I hear about them every winter. Last year I reviewed the effectiveness for Olive Leaf Extract. Another popular herbal remedy is Echinacea. Echinacea is a family of perennial flowering plants which are in the same broad class as sunflowers. Early botanists gave the flowers the name Echinacea, from the Greek root word is rooted in the Greek word ‘echinos’ because the distinct spiky appearance and feel of the flower heads looks a little like an echidna or hedgehog. Traditionally, Echinacea products are thought to enhance the action of the white blood cells, which in turn, is supposed to help the body fight off various sorts of infections. There are many different variations of Echinacea products that are available for consumers, but these vary widely in composition. They contain different extracts from different bits of different Echinacea species which result in vastly different chemical compositions between the products. So, do Echinacea products work? Are they worth the money people are spending on them? As I was poking around the internet today, I came across this article in Natural News. The article boasted: “Echinacea preparation as effective as Tamiflu in early flu cases in large clinical trial” … “Echinaforce Hotdrink has here been demonstrated as attractive therapy for acute influenza treatment with better safety and comparable efficacy profile to the neuraminidase inhibitor Oseltamivir.” (Oseltamivir is also known as Tamiflu, the gold standard influenza treatment). That sounded promising, until I looked at the actual paper the article was referencing. Natural News failed to report the most important paragraph, “This study was sponsored by A. Vogel Bioforce AG, Roggwil, Switzerland, manufacturer of Echinaforce Hotdrink. R. Schoop is an employee of Bioforce AG, and K. Rauš and P. Klein have received honorarium funds from the study sponsor.”  In other words, this journal article was the scientific equivalent of an infomercial. No particularly independent or trustworthy results there. What about independent trials into Echinacea? Do they show any benefit? Ah, that would be “no”. Echinacea products have been reviewed several times in the past [2-4] and the same conclusion has been reached every time. In fact, a Cochrane review (the gold standard of clinical research) was published on the use of Echinacea for the common cold in 2014 . 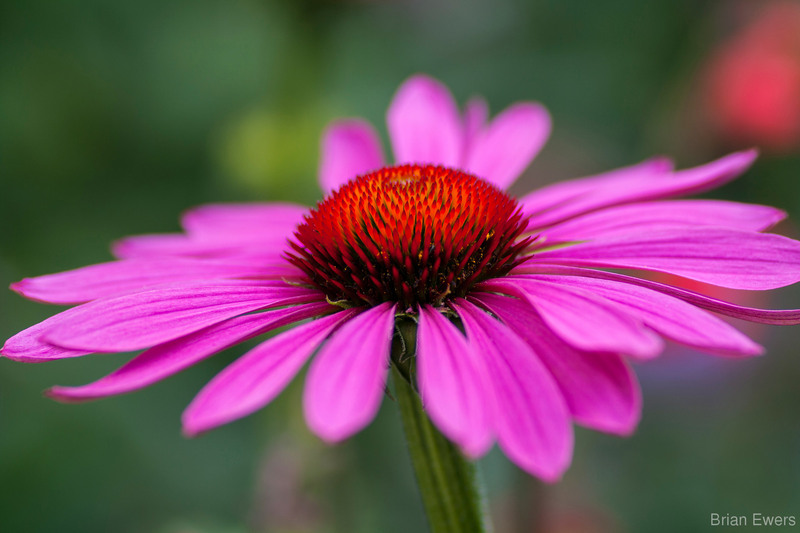 The best that it could say for Echinacea was that there was a weak trend towards benefit for prevention of colds, but there was also a trend towards people dropping out of the study because of side effects. There was no evidence at all for treating a cold with Echinacea. In biostatistics lingo, ‘trend’ means there was a small blip one way or another, but it could be entirely related to random chance. The bottom line is that there’s no strong evidence that Echinacea does anything for a cold or influenza. In terms of health benefits, taking Echinacea for a cold is equivalent to saying “bless me” whenever you sneeze. At least blessings don’t cost $15 dollars a bottle. So when you’re inevitably struck down by the modern plague of common colds this winter, stick to rest, fluids, and some paracetamol. They’re much more of a blessing than Echinacea supplements. Raus K, Pleschka S, Klein P, Schoop R, Fisher P. Effect of an Echinacea-Based Hot Drink Versus Oseltamivir in Influenza Treatment: A Randomized, Double-Blind, Double-Dummy, Multicenter, Noninferiority Clinical Trial. Curr Ther Res Clin Exp 2015 Dec;77:66-72. Barnes J, Anderson LA, Gibbons S, Phillipson JD. Echinacea species (Echinacea angustifolia (DC.) Hell., Echinacea pallida (Nutt.) Nutt.,Echinacea purpurea (L.) Moench): a review of their chemistry, pharmacology and clinical properties. J Pharm Pharmacol 2005 Aug;57(8):929-54. Hart A, Dey P. Echinacea for prevention of the common cold: an illustrative overview of how information from different systematic reviews is summarised on the internet. Preventive medicine 2009 Aug-Sep;49(2-3):78-82. Allan GM, Arroll B. Prevention and treatment of the common cold: making sense of the evidence. CMAJ : Canadian Medical Association journal = journal de l’Association medicale canadienne 2014 Feb 18;186(3):190-9. Karsch-Volk M, Barrett B, Kiefer D, Bauer R, Ardjomand-Woelkart K, Linde K. Echinacea for preventing and treating the common cold. The Cochrane database of systematic reviews 2014;2:CD000530.